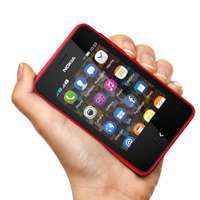 Nokia Asha 501 Dual SIM comes with New Asha OS which is much different from previous Nokia Asha devices. Some new features on Nokia Asha 501 Dual SIM are "Swipe" all the way, "Fastlane" , 4x4 Application grid menu and a lot of new features & User Interface improvement. If you are not familiar with Swipe, Fastlane feature and also want to know about how to operate basic features on Nokia Asha 501 Dual SIM like managing your contact, working with messaging, SLAM Feature and some tips and trick, you should watch some tutorial, tips & tricks videos from NokiaSupportVideos on Youtube.